I have never published the last part of the overview of Christmas singles on this blog, so now we are getting nearer and nearer to Christmas 2014, it's time I also published this last part here. 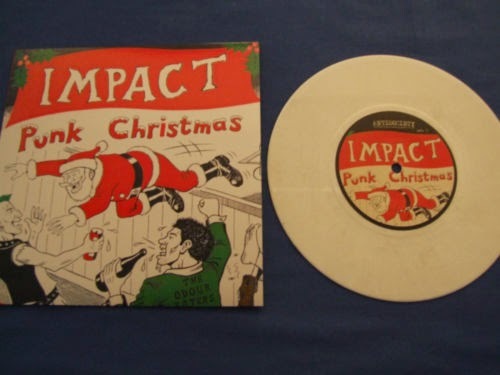 One label that usually puts out a Christmas 7” every year is Damaged Goods. Last Christmas, they released a great single by Helen Love and Ricardo Autobahn ('The Salvation Army'). 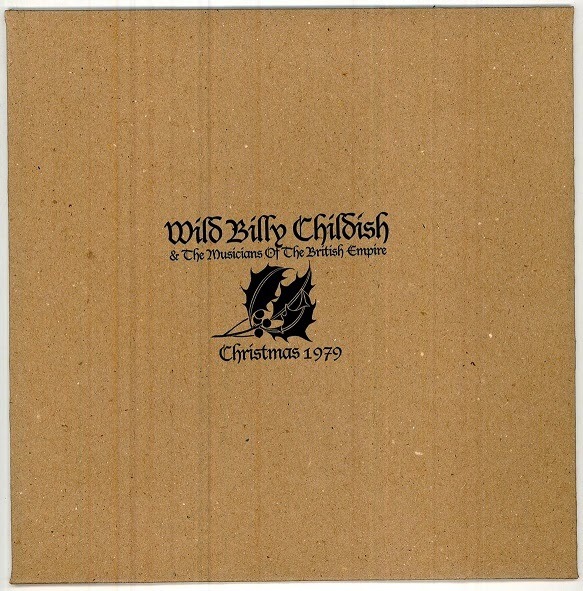 This year, Damaged Good did not really release a new 7”, but choose to repackage a 7” of a few years ago, 'Christmas 1979' by Damaged Goods regular Billy Childish, this time under the moniker Wild Billy Childish & The Musicians Of The British Empire. This new package has the two versions of the 7” (one green and one red vinyl), plus a homevideo of Billy Childish, starring his son. The two 7”'s and the homevideo come packed in a special cardbord cover. I guess the label still had quite some copies of the 7” left, and this is an inventive way to get rid of them. Rise Above Records is a label started by Napalm Death member Lee Dorrian. Although Napalm Death is known for their extreme grindcore assault, Rise Above is focused on bands that sound like they have taken far too many drugs. Rise Above Records has celebrated its 25th year of existince this December, and as part of this celebration, they have released a Christmas split-7” (another addition to the already many Christmas split 7”'s that have been released in 2013), that was given out to all people going to the anniversary show. 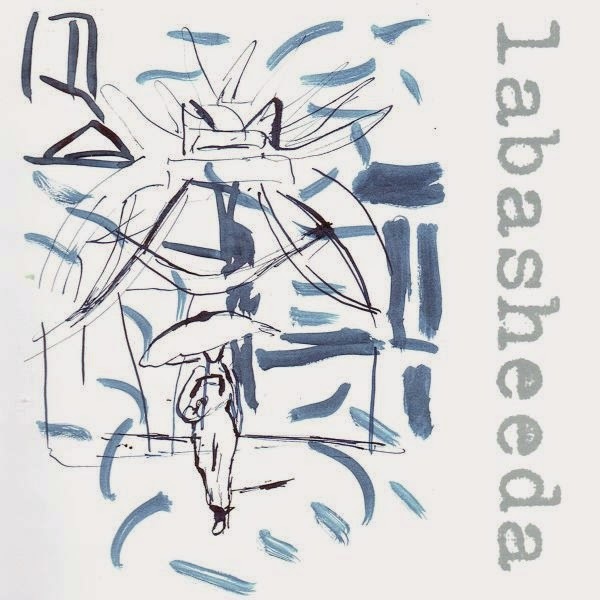 The 7” has two songs, recorded by two bands that played the anniversary show: The Sharon Tate Experience and Admiral Sir Cloudesley Shovell. Even if you hadn't know that Rise Above is a label focused on psychedelic music, the name of these bands would have spoken for themselves. 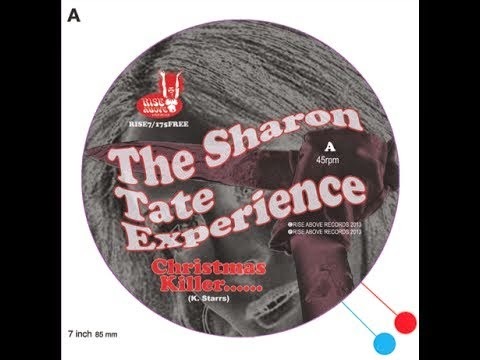 My favorite of the two songs is 'Christmas Killer' by The Sharon Tate Experience, that has more a Christmas feeling, and sounds like a garage cover of a 1960 Christmas song. 'Blow Up The Xmas Tree' by Admiral Sir Cloudesley Shovell is pretty decent, but doesn't really sound like a Christmas song, more like late 1970s hard rock. It will be difficult to get your hands on a copy of this Rise Above Records split, but it will be even more difficult to find a copy of one of the three one-sided Christmas 7”'s put out by the Danish label Mastermind Records. Of all three 7”'s 24 copies are cut: it are lathé cut 7”'s, so no vinyl, but still, I choose to include them, as they are pretty good. 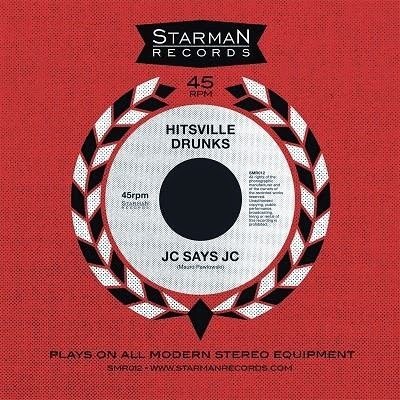 The songs featured on these 7”'s have all been recorded before 2013. The first of the three, with catalog number MRSPJUL13 (I guess JUL stands for Jule, and not for July; the number 13 also makes me wonder if in previous years already 12 limited Christmas 7”'s have been released on the label), is by the punk pop / power pop band Glow Kit, and the song on the 7” is 'Christmas Daze'. 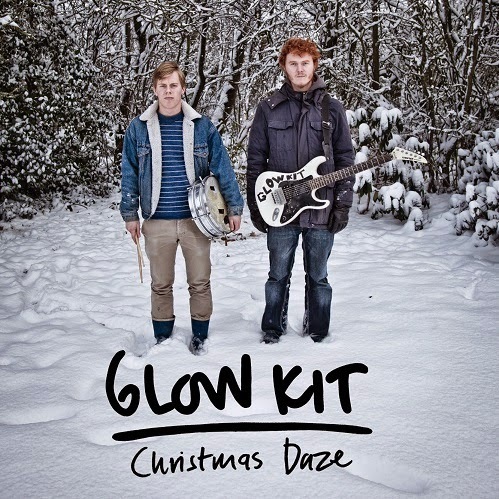 It's a pretty good indie rock song, that was already available digitally through Youtube at Christmas 2012. Even older is the second 7”, by psychedelic band Powersolo. 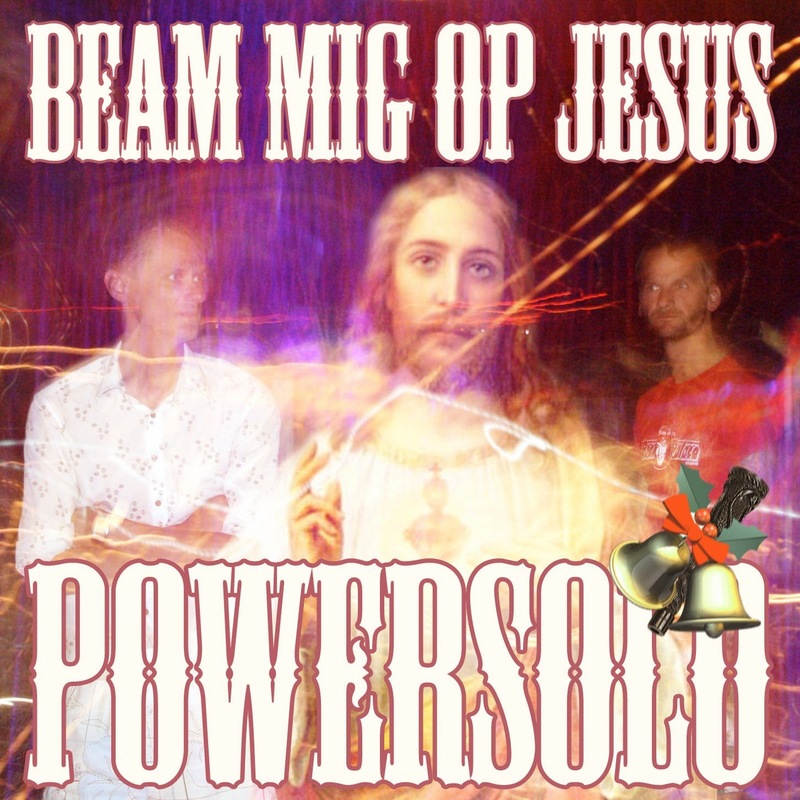 The song 'Beam Mig Op Jesus' was already put on Youtube Christmas 2009. Another pretty good song, and I wonder if the title stands for 'Beam Me Up Jesus'... 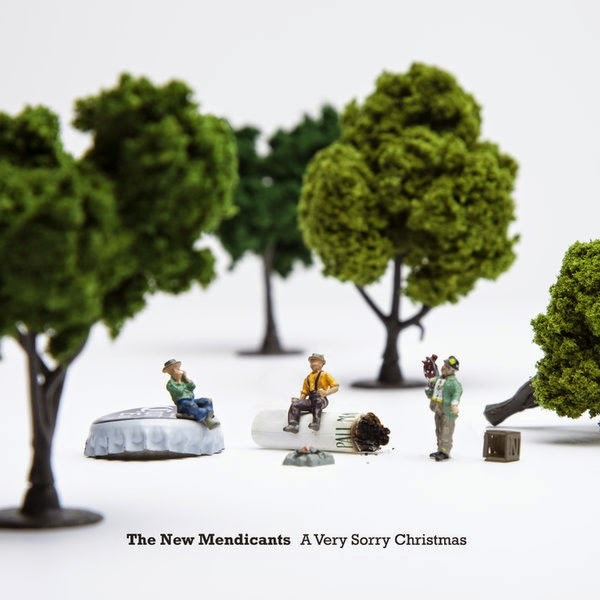 The song on the third 7”, by a Danish surf band with the name The Tremolo Beer Gut (more a name for a garage / punk band, if you ask me), 'Santa Duane (Jengo Balls Version)', has been released on a split Christmas EP with Leopold Kraus Wellenkapelle (yes, I saved all the weird band names for this part) in 2007 on German label Rhythm Island Records. I haven't been able to track this song down yet, so I can't tell you how it sounds, but there haven't been many surf Christmas songs that I didn't like, so I am pretty sure I would have liked the song. This year, also Austria brought us a Christmas single. 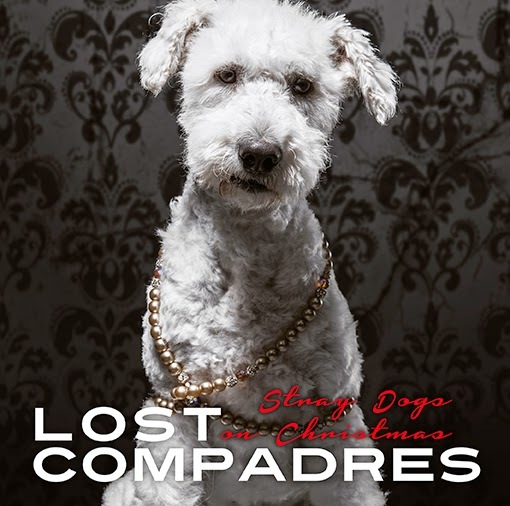 It's titled 'Stray Dogs On Christmas' and it's done by Lost Compadres (like that name! ), a Vienna based quintet that, according to their website, do their own twisted version of Americana. Which is not as strange as it sound, Americana from the Alps, as wasn't jodelling a popular ingedrient of country one time, a singing technique that has its roots in the same Alps. No jodelling in this Christmas song, unfortuately (or not), that the band 'a heartbreaking loser's ballad'. The winter does not limit itself to December, so also January can bring winter-themed singles. In December 2012, UK singer Mary Epworth released a 4 song CD EP, 'Snow Queen', with four songs about snow and winter. That was a good timing, as December 2012 did bring quite some snow, at least here in Europe, if I remember well. Now two of the songs of the EP have been re-released on Hand Of Glory Records on a 7”, the title track and 'Ice And Snow', on snow white vinyl. Of course! The timing is not as good as for the CD-version, as January 2014 has seen spring-like temperatures and no snow at all, mostly. Both songs on the 7", that sound as having been put out in the psychedelic late 1960s, definitely have a winter-y feel, a subtile sound that breaks through the stillness of a cold winter night. It is limited to 250 copies, so will be gone soon, as soon as snow that melts in the spring sun. 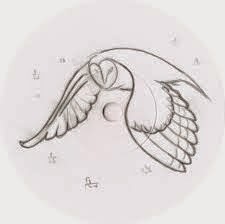 There are more 2013 Christmas singles that were officially released in January 2014, although I think this particular one already was already available in December, for those people who went to see Canadian singer/songwriter Ben Caplan on his European solo tour. 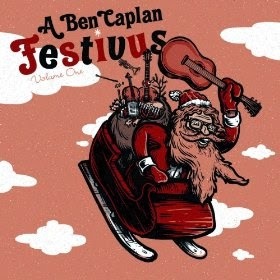 It's called 'Ben Caplan Festivus Volume One', which sounds as if more volumes should follow... I hope in time for Christmas 2014! 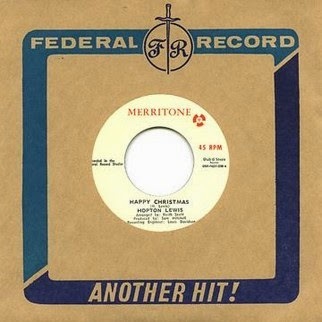 Only the A-side has a song with a Christmas theme. It features one of the most covered 'modern' Christmas songs, 'Fairytale Of New York', originally recorded by The Pogues and Kirsty MacColl in 1987, and one of few really classic Christmas songs the 1980s gave us. Ben Caplan looks like a rather big guy, a bit like a younger and Irish version (because: big red beard) of Santa Claus and certainly has a big voice, so that's probably why the Kirsty MacColl role is not done by one female singer, but by four: the four women of the Norwegian folk / punk cabaret band Katzenjammer. The third guilty party in this Christmas conspiracy is an orchestra that listen to the name Trondheimsolistene, from the name I would guess they are also from Norway, and of course, they are. The song was already recorded in 2012, and the video of the song was on Youtube last Christmas, but now it's also out on vinyl. The accompaniment of the orchestra gives the song a chamber pop feeling, more than the folk feeling of the original. A nice try, but it is simply impossible to come close to the original version. 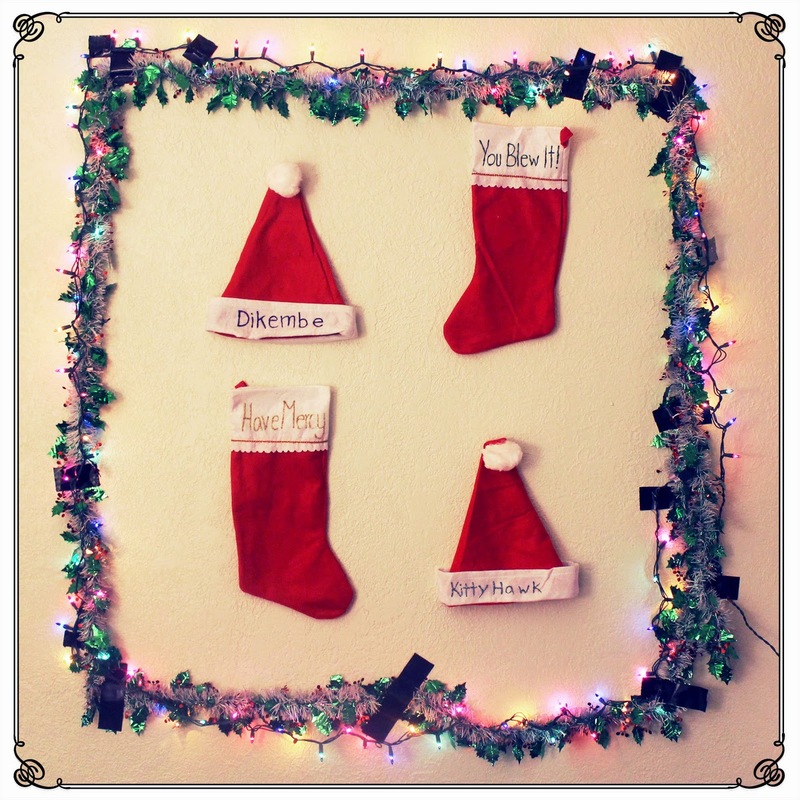 We close with a complete overview of all Christmas 7”'s of 2013 – if you know of any other, please let me know! * Evil Conduct / The Old Firm Casuals: Yuletide Cheers & Oi!